There are various accommodation options for tourists who might want to experience wild game in their natural habitat e.g. Voi safari lodge, Satao camp, Aruba Ashnil, Galdessa Safari camp among others. 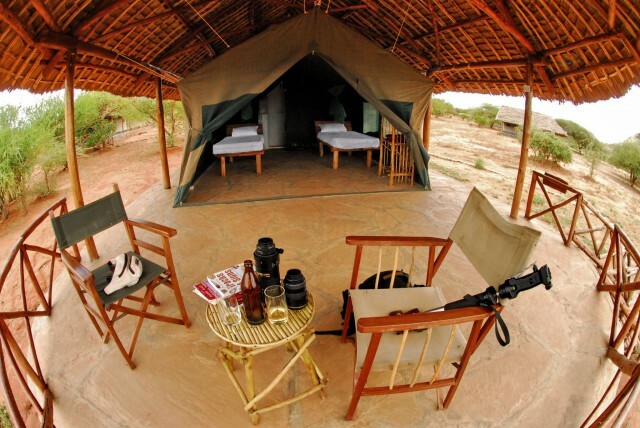 Most camps in the Tsavo East have water holes in proximity to make game viewing easier. 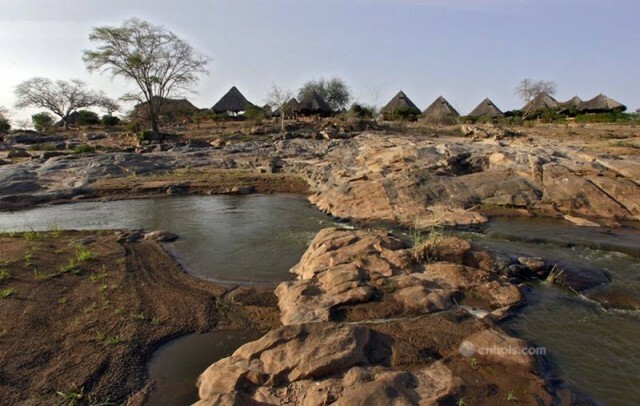 From these waterholes you can have a view of the lions having a drink with the zebras, the warthogs with the elephants. It truly is a sight to behold. 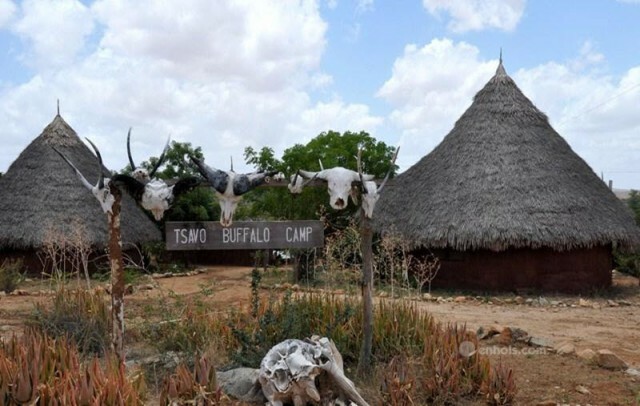 Camps in Tsavo East include Galdessa Camp, Kuwinda Camp and Voyager Ziwani Camp. 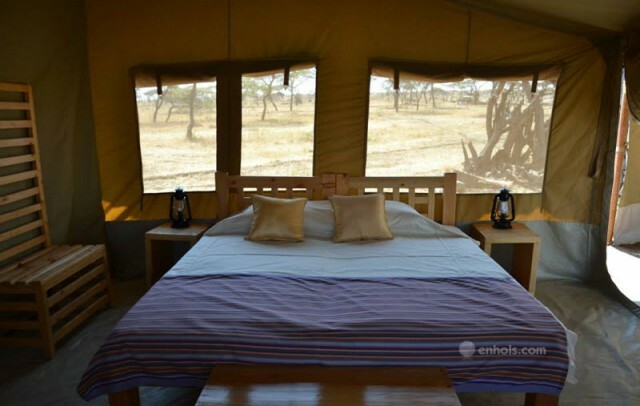 These camps in Tsavo East range from the basic camps to the luxury camps. 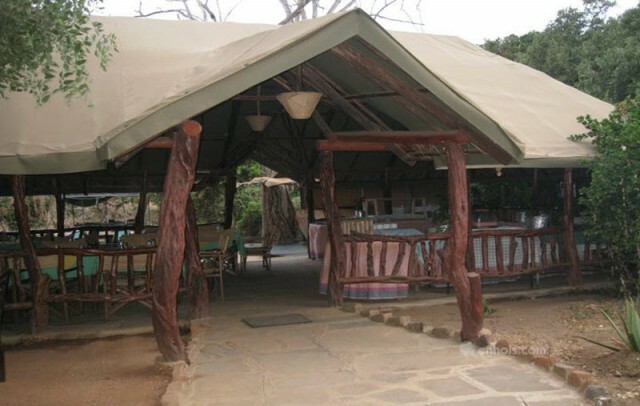 For those interested in camping in the Tsavo East the Kenya Wildlife service has several affordable camping sites within the Tsavo East National park. 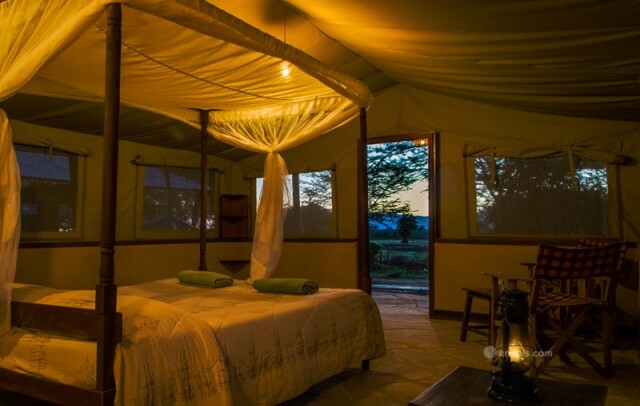 These camps also have the self-catering option that allow for once to prepare their own meals while enjoy the beauty of the Tsavo East. 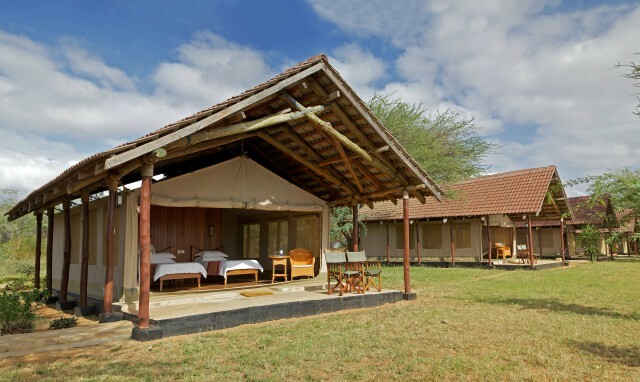 Other than the camps, the Tsavo East also provides lodges for accommodation. 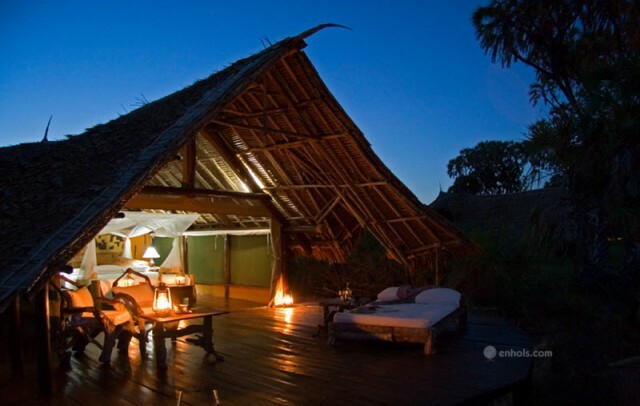 Lodges in the Tsavo East include Ngutuni Lodge, Zomeni Lion Hill Lodge and Leopard Lodge. 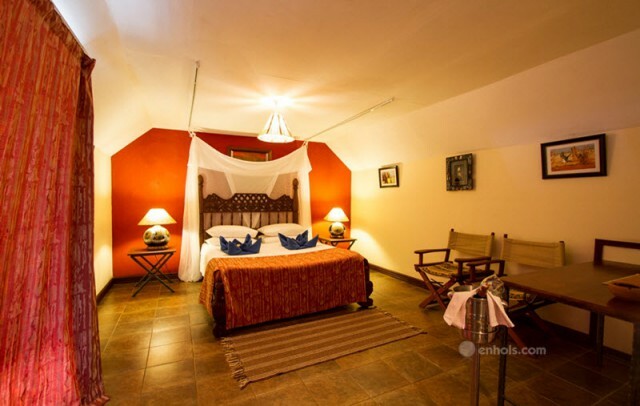 These lodges in the Tsavo East are ideal for those who would want to be within a room setting and still enjoy the wildness of the Tsavo East. 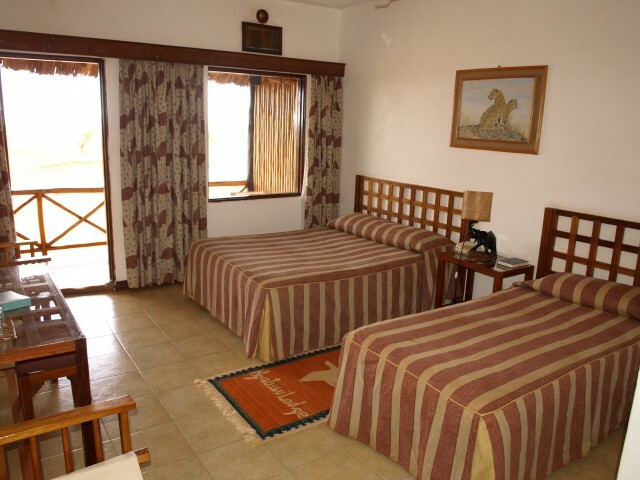 Results 1 - 12 of 17 for "Accommodation in Tsavo East"
Tsavo East National park is one of the largest and oldest parks in Kenya. 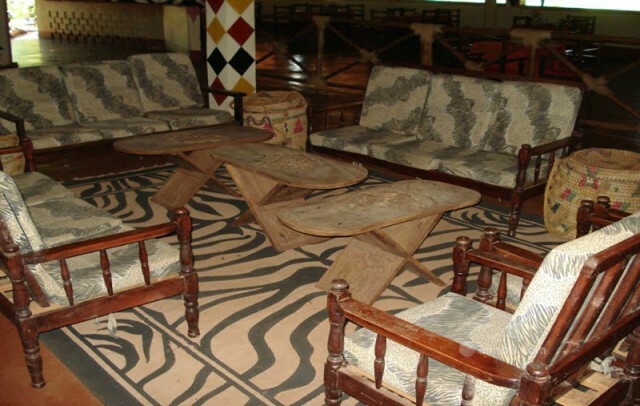 It is located in the Taita Taveta County in Voi town. The park can be accessed by road or air. It has three has three main entrance gates; from Voi is the Manyani gate from Mombasa the Bachuma gate and from Malindi is the Sala gate. The park is generally flat, with dry plains across which the Galana River flows. There are two main rainy seasons: the first between April and May and the other between October and December. The best time of travel is around June and July. 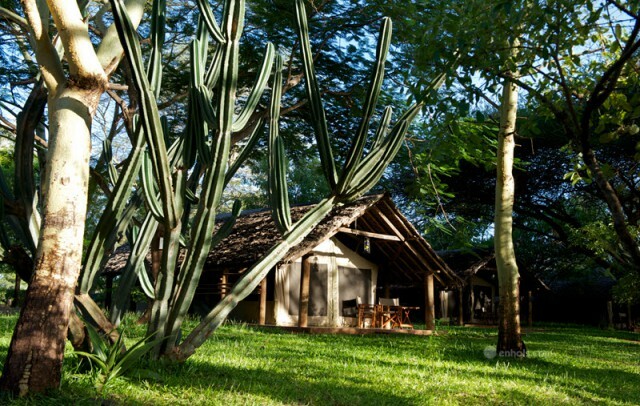 Tsavo is welcoming all year round. These include the Yatta Plateau the longest lava flow in the world and Lugard Falls. This park sits on one of the world`s longest plateaus that measures around 290 km. There is also the River Athi carries water from tributaries in the upland central forested region, flows into the park and meets a long sudden drop at the Manyani gate, forming the Lugard falls. Below, death opens its jaws wide; the crocodile families gliding in the waters below are a deadly plethora as the river changes name to Galana. Known as the theatre of the wild, the park is home to large herds of elephants and plenty of big game. It has a variety of animals and birds including the biggest bird in the world, the ostrich. The elephants of the Tsavo are known as the red elephants of the Tsavo due to the coating of the red soil that is in plenty at the park.